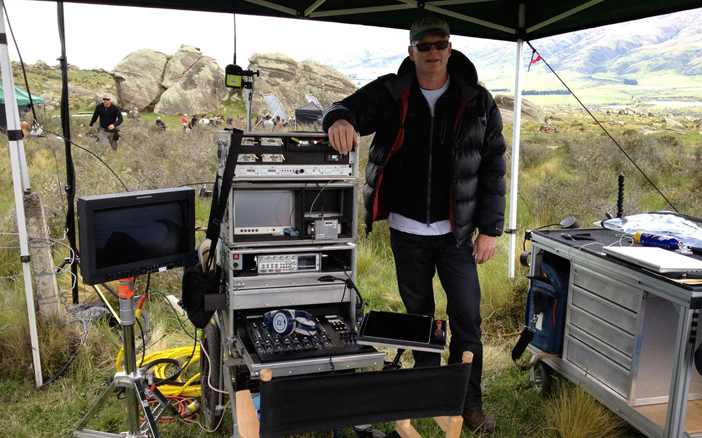 If you were a production sound mixer, what if we told you there was a job where you had to live in New Zealand and listen to dwarves, wizards, a hobbit, and other mythical creatures on headphones for a year? 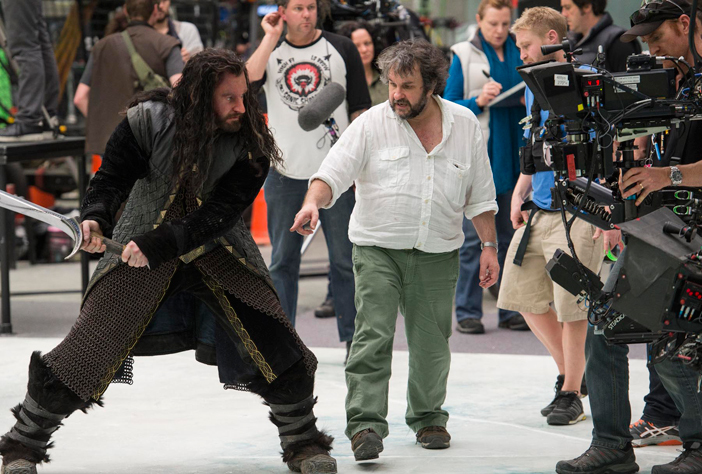 Oh, and Peter Jackson is directing. Would you do it? Yeah, it seems like an easy answer, and thankfully one Tony Johnson, CAS was able to say yes to. 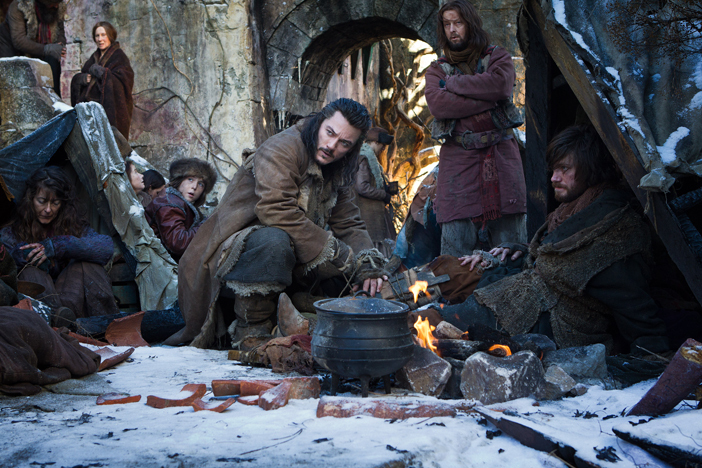 Before wrapping up and returning home, Johnson went on his own epic journey, shooting over 260 production days with eleven weeks of reshoots for the three The Hobbit films – An Unexpected Journey, The Desolation of Smaug, and The Battle of the Five Armies. “Post sound is a big influence on Peter’s films, and they basically had say in if I had the job or not,” admits Johnson. “Historically, they were doing a lot of ADR because Peter’s style of shooting isn’t normally conducive to getting good production sound. Plus there tends to be wind machines on most exterior sets. With that said, it’s vital to have the mics as close to the actor’s mouth as possible, so we went down the wireless route pretty quickly.” Johnson was already a Zaxcom Fusion 10 user and was keen on their digital wireless system and thought to use ZaxNet for the entire trilogy. “Supervising dialogue editor Chris Ward was also following the Zaxcom story so there was no convincing needed,” says Johnson. Each film created its own set of challenges, but Johnson and his two boom operators, Corrin Ellingford and Steven Harris, consistently took the time to wire all the actors each day. 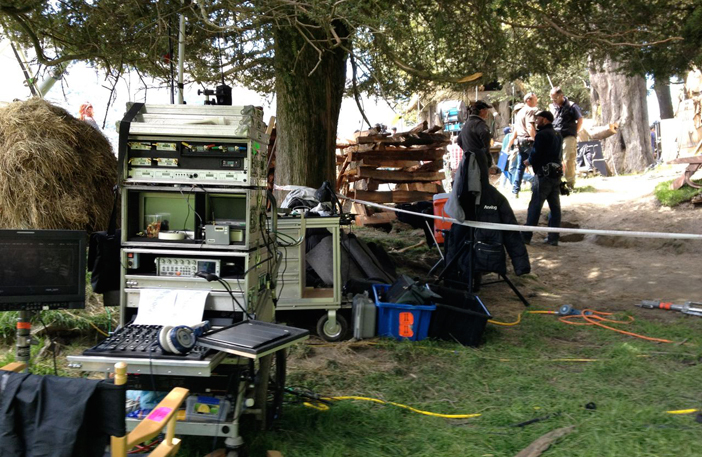 The team used Zaxcom TRX900 transmitters in combination with Countryman B6s, DPA 4063s, and the occasional Sanken COS-11D for lavs depending on the application or actor. 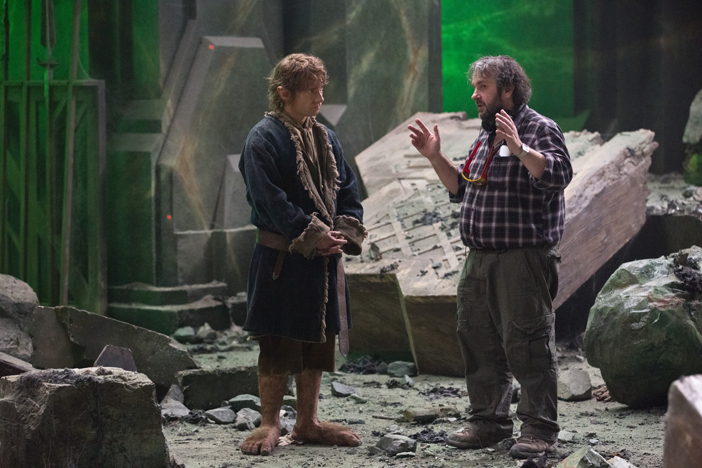 For the hobbit Bilbo (Martin Freeman), two lavs were needed at times. 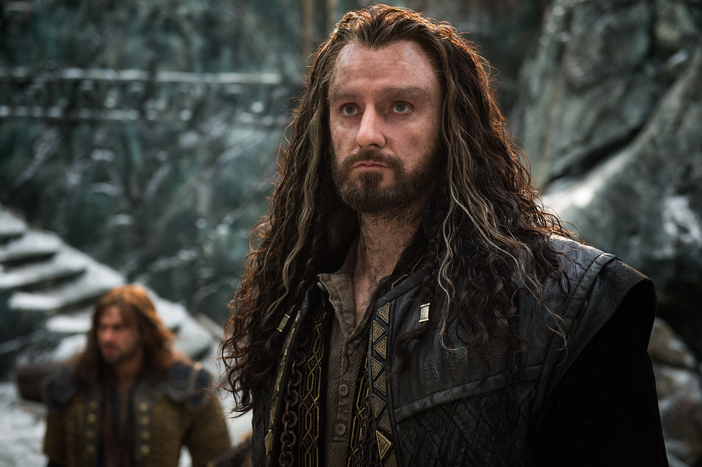 “Bilbo had this jacket he wore with lapels on it. What we did was put two wireless lavs, one on each side of his lapels, being Countrymen B6’s. They were placed at identical heights and levels so no matter which way he would swivel his head, the audio would match,” explains Johnson. 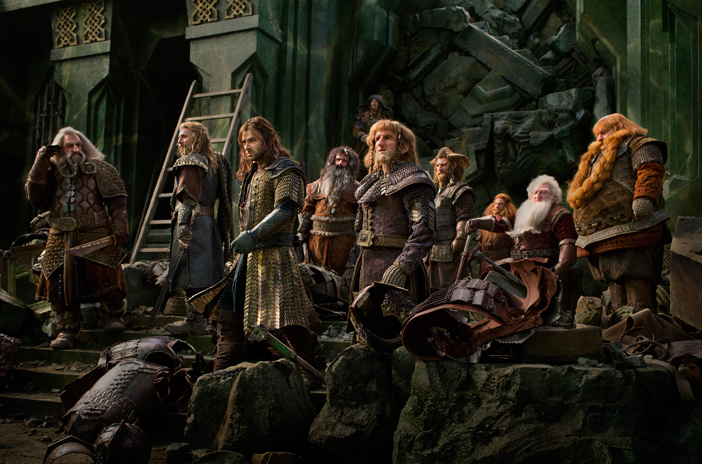 “It was the first time I used two mics on an actor and it worked very well.” For the fourteen different dwarves, they used little hair clips to hide B6s into their beards. 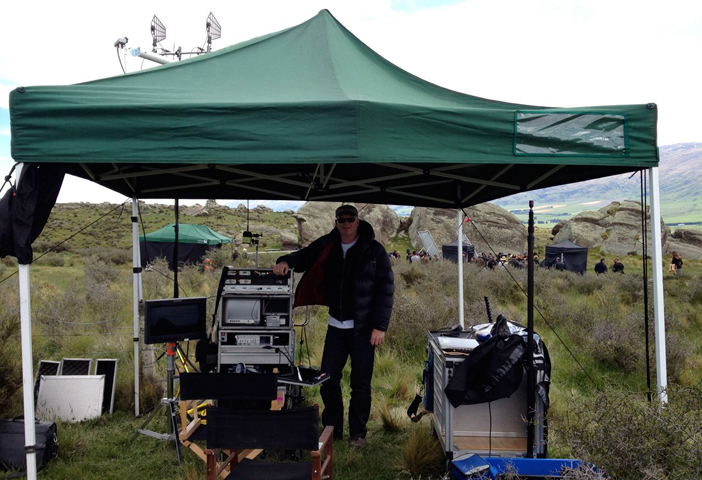 And in the case of Gandalf (Ian McKellen), sound hid a TRX900 with a B6 into the cone of his hat. “That saved so much production sound because it was like having a boom a few inches away from his mouth,” notes Johnson. 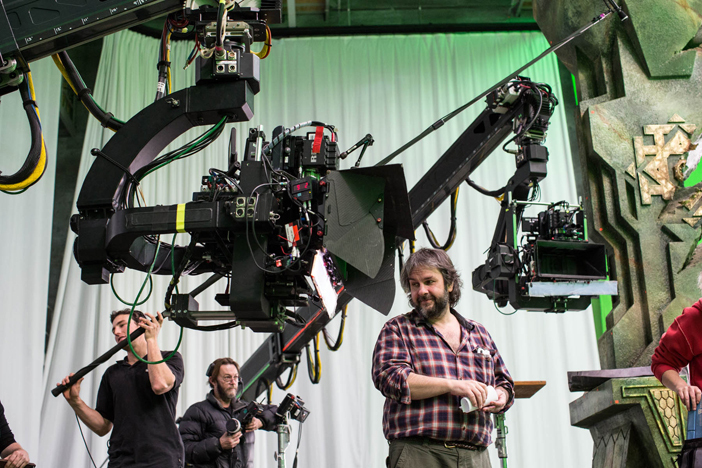 For some scenes, Jackson would start shooting with two cameras on Technocranes moving from a wide shot inward. “Peter worked very organically. He liked to keep it that way, so we would have to pay attention to the type of coverage that was taking place,” says Johnson. “We’d watch to see how the scene played out to get a feel for it as it develops. This way we knew what mics would work and where you’d have to go to get something on a boom.” For overhead mics, the Schoeps CMIT-5U and CMC 6/MK 41 were used along with the Sennheiser MKH 40, MKH 50, and MKH 60. Johnson deferred to Ellingford on set, who’s done all of Jackson’s films except The Lovely Bones. “Corrin runs the set and he feeds me all the info of what’s going on. He’s a wizard in his own right and we would use a private line to constantly communicate, like if I needed to tell them if a second camera was moving in for a close-up,” says Johnson. 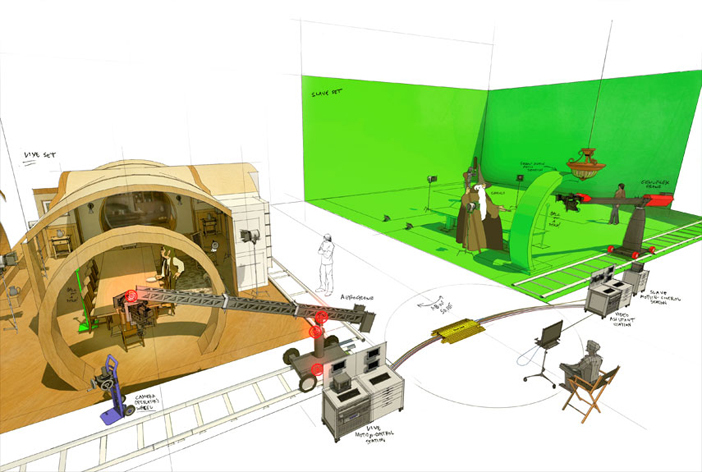 As for the motion capture sequences, Johnson happily admitted they were a sound mixer’s dream. “You can basically place the mic anywhere you want. With a boom running, we also had a DPA taped to the capture arm above their head allowing me to listen to rich, beautiful dialogue all day. Mocap was a newer experience and something I can easily get used to,” laughs Johnson. Sound’s more challenging days came when Jackson worked with the slave motion control system. It’s a complex setup that allows characters of different sizes to do a scene together at the same time. 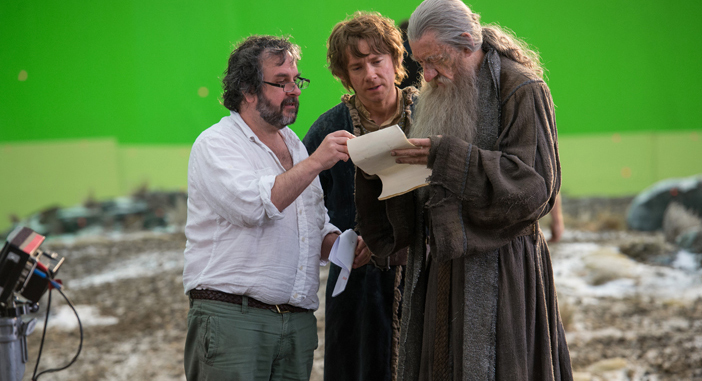 It was used when a character like Gandalf had to talk to the dwarves or Bilbo. 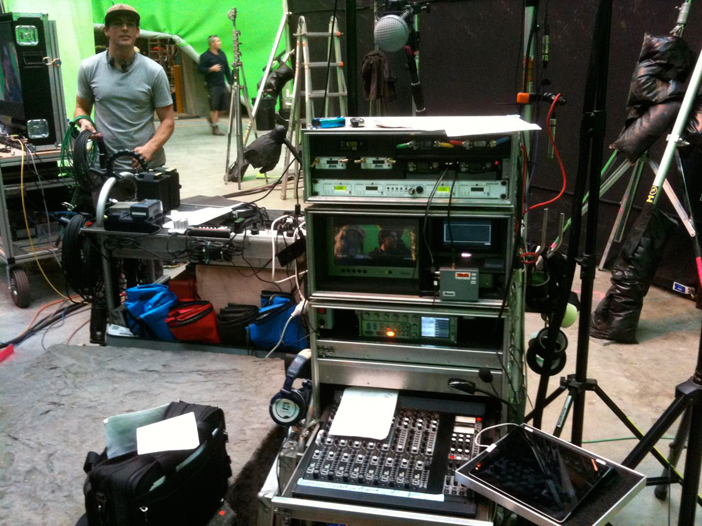 What happens is two adjoining sets are constructed – a fully dressed set and the other a green screen. The master rig is outfitted with encoders that measure the pan, tilt, and motion of the camera dolly underneath. The data is then crunched through software and is instantly relayed to the slave rig on the green screen set, allowing Jackson to see the results of the scene instantly. In order to achieve realism in the scene, the actors had to work off dialogue cues by wearing earwigs, because they couldn’t see each other. “The whole thing was driven by sound. If we messed up or they couldn’t hear the cue to know where to move on set or what their eyeline was, it wouldn’t work…this did happen,” says Johnson. On location, Johnson used a 30° 14db gain aerial on their L-com RF amp for the IFB 100 to get the range they required, because at times they were far from the action. “We also used Zaxcom’s Voting System on many occasions with the spare IFB100 – that worked great. Another thing we used was the alternate channel in the ERXTCD, so Corrin and Steve could easily switch to Peter’s channel to make sure everything was OK,” Johnson explains.